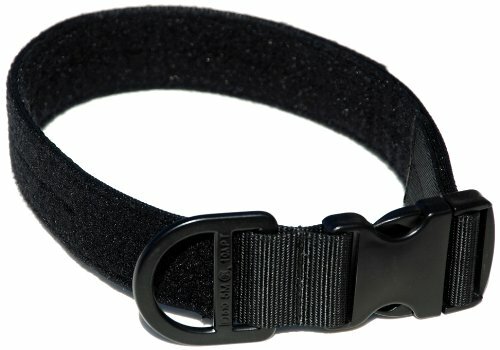 This black nylon ID collar is one of the strongest and most durable collars available. It's made with load-rated 1-3/4-inch Type 13 nylon webbing , an easy on/off side quick-release contoured plastic buckle and a heavy-duty D-ring for for secure attachment of a leash. The velcro section holds most any standard velcro backed ID panel for easy, clear identification or warning.